More info viva. These are the sales details for this large detached pub and restaurant. It’s an excellent opportunity not far from Creswell train station and lots of chimney pots the opportunity to build a large food trade is there for the right operator. An excellent opportunity to develop a hugely profitable business with the introduction of food. We are instructed to advertise this business as a Free of Tie lease re-assignment with 5 years remaining on the lease. The rent is set at £1200 per month. 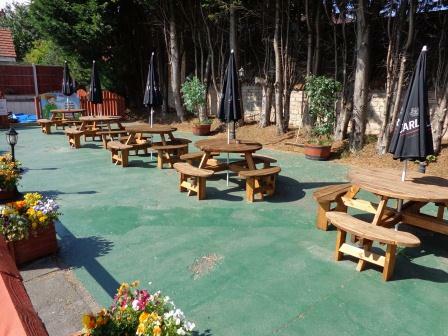 The asking price is £15,000 for the lease re-assignment, the entire range of pub/kitchen/restaurant/disco equipment both internal and external. Full furnishings in the very large upstairs apartment. All remaining stock at handover. The amount of equipment included is far too much to describe and could only be appreciated by arranging a personal viewing. You are more than welcome to visit this pub and restaurant as long as you don't introduce yourself to any of the staff as a buyer. If you would like to arrange a detailed visit with the current owner please contact him directly. Pete – (07866) 518110 or email petewhit1889@gmail.com To appreciate this excellent opportunity it’s definitely worth a viewing. 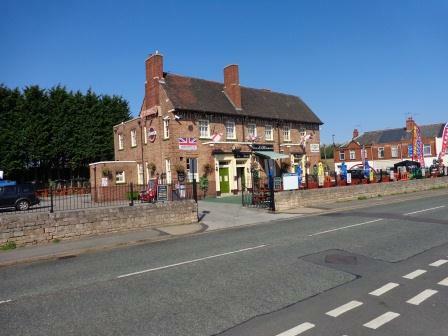 The pub/restaurant is located in the rapidly growing village (reported current population of 5,126) of Creswell, Derbyshire, S80 4HE on the main Sheffield/Thoresby/Newark road. Less than 1 mile from the national heritage centre (Creswell Crags) boasting tens of thousands of monthly visitors. Viva La Mamma, previously Monroe’s pub, originally set up as a bar/lounge/Italian restaurant still carrying the original changeable name. It is the only free of tie lease within at least an 8 mile radius. This is an outstanding opportunity. At present the main income is on the wet side averaging £4,000 per week. Food is just back on the menu. The bulk of trade is local but attracts walkers and visitors from the local visitor centre. At weekends customers come from surrounding areas as it has the only local late weekend license. The building is surrounded by a large secure car park with CCTV. The front boasts a large seating area and to the rear a beer/dining garden with enclosed play area. This accommodates a new 40ft adventure inflatable included in the sale. Internally the bar/lounge holds 4 large screen TVs, a pool table, a darts board and gaming machines. The other larger restaurant (50 covers)/function room has a stage area with Disco and karaoke equipment. Both sides have connected individual bars and each side has ladies and gents facilities. The fully equipped kitchen is view hatched to the restaurant and door connected to both sides and even a serving hatch to the rear beer garden. The cellar is very large with numerous rooms. Upstairs is a spacious 3 bed apartment separated from business with the opportunity to lease if not living in. · Sunday to Thursday 11am to 12am. The current owner is selling the lease on to concentrate on his other business in the financial sector. We have attached this review from the local Guardian newspaper. All the above information and photographs have been taken by the current owner and supplied to us (Pub Sales UK). Pub Sales UK are advertising the lease re-assignment only, we have not visited Viva La mamma.